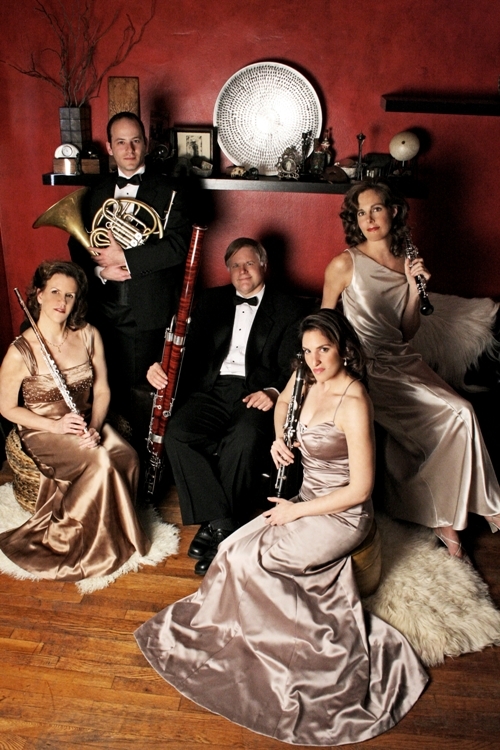 SYLVAN WINDS OPEN SEASON WITH "VIVA ITALIA"
Will present an Italian program at Casa Italiana Zerilli-Marimo, 24 W 12th Street on Thursday, March 13, 2008 at 7 PM. Johann Sebastian BACH (1685-1750) During his second job - and first lengthy appointment - as court organist and concert master at the ducal court in Weimar (1708-17), with Bach's main duty of composing and performing keyboard and orchestral works, he attained technical proficiency by transcribing compositions of other masters of the 'latest fashionable Italian music'. In this regard it was the Venetian 'red-haired priest' Antonio Vivaldi (1678-1741) who would serve as one of his most important ‘teachers’ and influences. Ottorino RESPIGHI, (Bologna, 1879 - Rome, 1936) Son of a music teacher who first taught him piano and violin, he continued studying violin, viola and composition at the local conservatory with the prominent Italian instrumental 19th century composer Giuseppe Martucci (1856-1909). In 1900, he went to Russia as first violist in the orchestra of the Russian Imperial Theatre in St Petersburg during its season of Italian opera; where he studied with Rimsky-Korsakov while also studying with Max Bruch (1902) in Berlin. Until 1908 he was the first violin of the Mugellini Quintet, before turning his attention entirely to composition. He settled in Rome in 1913 becoming a composition teacher at the Santa Cecilia Conservatory and in 1919 married a former pupil, singer Elsa Olivieri-Sangiacomo, also a composer. An enthusiast for Italian music of the 16th-18th centuries, as exemplified by many of his compositions that used them as source material, he also published editions of music by Claudio Monteverdi, Antonio Vivaldi and Benedetto Marcello. He died in his Roman villa, appropriately named "I Pini" after one of his best-known works. Luciano BERIO, (1925-2003) Born in a small town on the Ligurian coast of Italy and a descendant of two generations of logal organists and composers (similar to Puccini's somewhat longer pedigree in the same region!) his early dreams of a concert pianist’s career were shattered with a first-day hand injury in a military camp. He could continue playing piano, and while serving as accompanist at the Milan Conservatory - where he studied with Ghedini - he met his first wife, Cathy Berberian, establishing a first link to his transatlantic music career in this country. His first visit to the U.S. was as a student at Tanglewood in 1952, then he returned to teach in 1960, followed by appointments to Mills College in California, Harvard, and a 6-year stint at Juilliard (1965-71). Meanwhile, he became one of the major figures in contemporary music with particular interest in its electronic dimension. This led to his association with Boulez' French IRCAM, while preceding and succeeding his involvement in establishing electronic music studios in Italy. At the same time, he was active as a performing musician as conductor and artistic director of Maggio Musicale in Florence. Giorgio Federico GHEDINI, (b Cuneo, 1892; d Nervi, nr Genoa, 1965) Born in Piedmont and starting piano and organ lessons as a child, after moving to the province's capital Turin in 1905, he continued studying cello and composition, first at the local and then Bologna's Liceo Musicale. Following his graduation in 1911, he worked as a coach at the local theater before turning to teaching at conservatories at Turin (1918-38), Parma (1938-41) and Milan (1941-62), including the Milan directorship in 1951 until his retirement. During his Milan years, one of his composition students was Luciano Berio. Nino ROTA, (1911/ Milan - 1979) is best known for his film scores, notably The Godfather series and the films of Federico Fellini, according to whom, "The most precious collaborator I have ever had ... was Nino Rota [who] had a geometric imagination, a musical approach worthy of celestial spheres [with] no need to see images from my movies." While also composing ten operas, five ballets and many instrumental works, Rota's 1977 work The Italian Straw Hat, was presented by the Santa Fe Opera. Born in Milan, he studied at the conservatory there under Ildebrando Pizzetti. Encouraged by Arturo Toscanini, Rota moved to the United States where he lived from 1930 to 1932. As a scholarship student at the Philadelphia Curtis Institute, he took classes in orchestra with Fritz Reiner and in composition with Rosario Scalero, Samuel Barber's teacher. Giuseppe Maria CAMBINI, (1746 / Livorno, Italy - 1825 / Bicętre, France) A violinist by training and a string quartet pioneer - with 149 to his credit - Cambini was also the first to compose specifically for wind quintet, with a modest output of only three, the third considered his best. Despite this innovation, he stayed within the rococo "galant style" tradition and did not explore the individuality of wind instruments, preferring the homogeneous sound of the whole ensemble. His early life is shrouded in mystery, including an uncorroborated story of capture by pirates, and until recently there was uncertainty about the time or place of his death. Settling in Paris in 1770, he was held in high esteem as a composer (with 600 published works), performer, and author of a violin method. Hailed by the New York Times for "its venturesome programming and stylishness of performance," the ensemble has performed throughout the tri-state area, and has toured both domestically and abroad. Additional performances by the SYLVAN WINDS this season will take place on Tuesday, April 8, 2008 at 8:00 PM at Christ & St. Stephens Church, 120 West 69th Street with new music for "Winds & Harpsichord", featuring works by Bazelon, Thomas, Salonen, Ades and Carter, and the ensemble will close the season as usual at Weill Recital Hall on Wednesday, May 14, 2008 at 8:00 PM, with guest pianist Claude Frank in works by Barber, Mozart, Schifrin and a transcription of Brahms' G Minor Piano Quartet for wind quintet and piano by Samuel Baron.